The Samsung Galaxy A7 has made it to the headlines as the Korean company officially announced their slimmest phone to date. 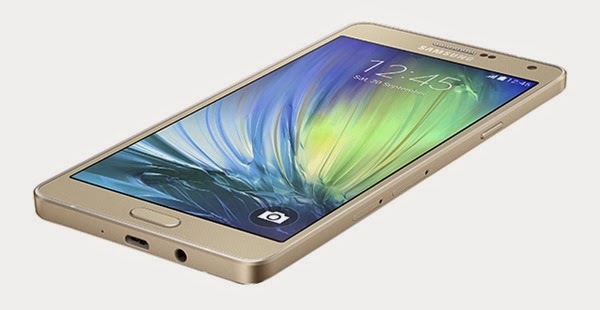 Everything you see about the Galaxy A7 comes from the same melting pot of the Galaxy Alpha. Being brewed in the fiercest competition in the mobile industry, will the Galaxy A7 make a mark in the international scene? Take a good read below and find out. 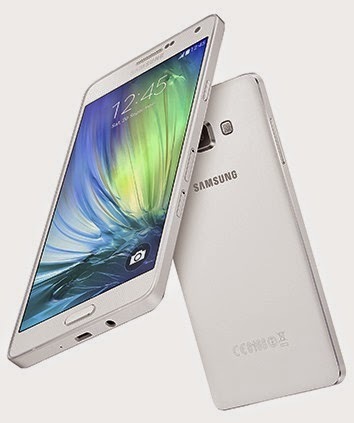 The Galaxy A7 culminates the heavy leaks about the Galaxy A series. Being a distant cousin of the Galaxy Alpha, all that we could expect in this device range are the more premium build and powerful performance. The design is absolutely a deviation from the unapologetic plastic-clad Galaxy handsets that we have been accustomed to for quite some time now. Its metal frame and body defines a premium Android experience akin to the HTC One series. This 6.3-millimeter handset is shaping up to be one of the stunners in the overcrowded Android ecosystem. The design definitely appeals to the fashion-conscious and the purists. In parallel with its brilliant design, the Galaxy A7 also breathes performance. The handset will have two variants which will depend to the chipset that it'll pack. The one with the Snapdragon 615 SoC is comprised of four 1.5GHZ A53 cores and four 1.0GHz A53 cores; the device has a 64-bit desktop class configuration like most of the handsets released this year. On the other hand, the 32-bit Exynos 5430 model is comprised of four 1.8GHz A15 cores and four 1.3GHz A7 cores. Both versions have 2GB of RAM, 13MP rear camera, 5MP front snapper and a capable 2600 mAh battery. The 16GB of RAM also has microSD support in case you'll need more space for your multimedia files. The display hits the phablet category with its 5.5-inch HD Super AMOLED panel. It also has a complete set of connectivity features spearheaded by the Cat 4 LTE. You'll get Android 4.4 KitKat with TouchWiz skin on top. Samsung also promised for an Android 5.0 Lollipop update soon. 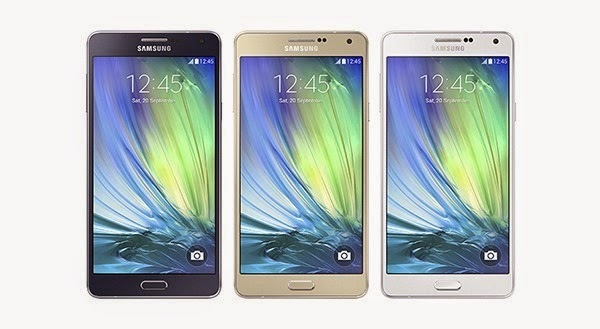 The Samsung Galaxy A7 will be available in different hues - Midnight Black, Pearl White and Champagne Gold. The device will be available at the end of Q1 with an undisclosed price tag.